I have always seen primers as a bit unnecessary but over the past 6 months + I have discovered that when you use the right one it can do wonders. Therefore I wanted to share with you my top picks when it comes to that first layer of makeup. 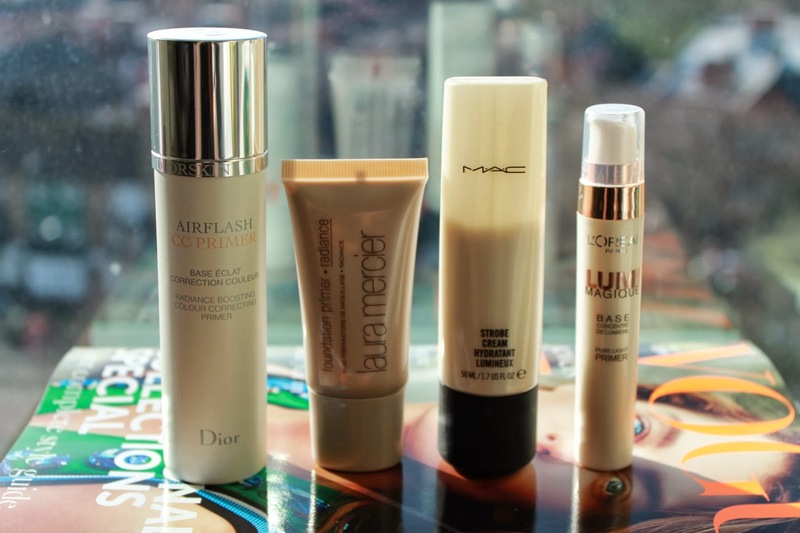 Keep in mind I tend to go for ones that give a dewy finish and adds glow to your face. 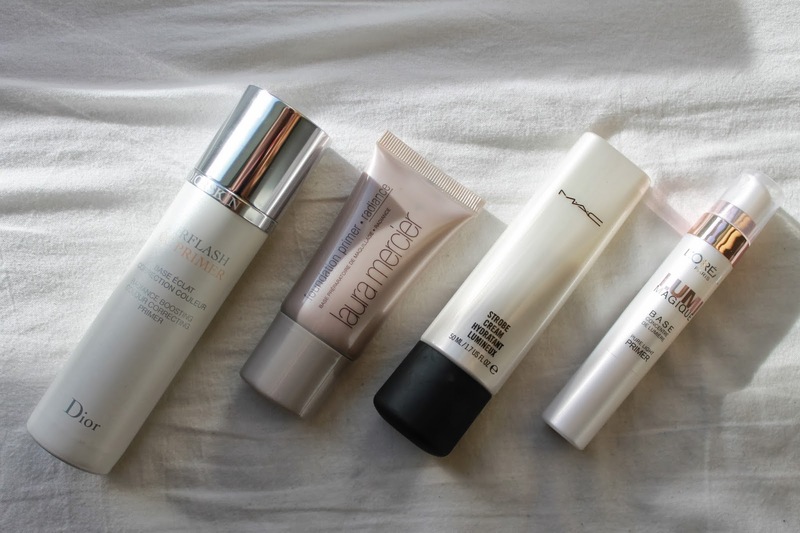 My latest addition but also clear favourite is the Laura Mercier Radiance Foundation Primer. This guy is the best of both worlds; adds the most gorgeous glow at the same time as it holds my foundation intact all day long, and you only need the smallest drop sized amount. Works wonderfully on its own with a tiny bit of concealer and powder or under BB cream or foundation. It was love at first try with this one. Available at Selfridges for £19. If you want a cheaper option then go for the L'Oréal Lumi Magique Base which is very similar although has a pearl like finish rather than the more golden finish that the Laura Mercier one has. Still gorgeous though and it does do a good job at keeping your make-up in place. Available for £9.99 at Superdrug. The Dior Airflash CC Primer smooths and very subtly evens out your skin tone. It doesn't add any glow in particular but is very light and perfect to spray on under a BB cream for a good but not too heavy primer. Get it at Feelunique for £30. Last, but not least is the most illuminating and glow-giving out of them all; MAC Strobe Cream. Not exactly a primer in my eyes as it doesn't do much for the longevity of my foundation but it is absolutely a great base for those days when you need to add some life back into your face. Looks good with just a bit of powder on top or under any base that you normally use. Get it here for £23.50. Do you have any favourite primers or prep products for your base? Let me know in th comments and I might try it out! Also leave your bloglink if you have a bloglink as I am always on the lookout for new ones to read and follow. Love the name of this post girl! 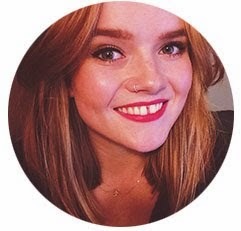 I wasn't a huge fan of the Laura Mercier, but I love the lumi magique and strobe cream! !